In the beginning of 2018 we officially announced the launch of æternity Foundation Bulgaria and today we are happy to present one of our strategic partners — BESCO. 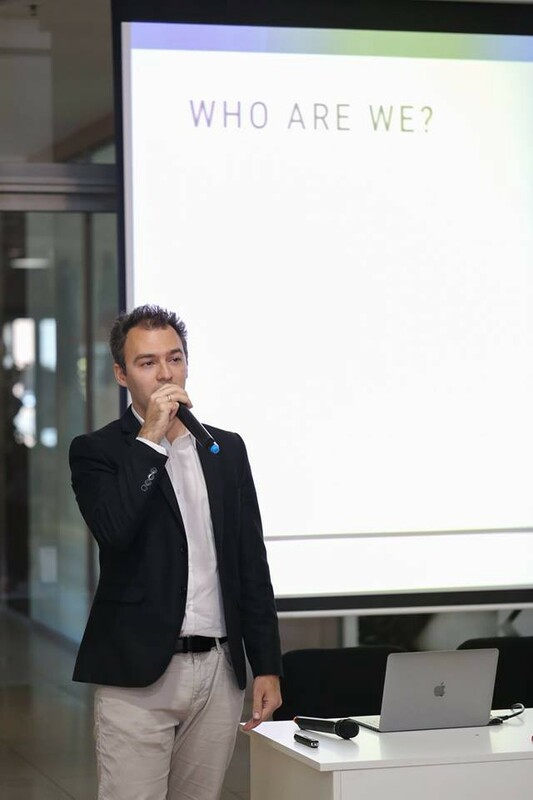 We sat down with Dobromir Ivanov — one of the founders of the association, to discuss the need for a dialog between the startups and the government, and how we can make Bulgaria a better place for business and investments. Tell us more about BESCO and what is the scope of your work? BESCO — The Bulgarian startup association is the bridge between the startups and the government. We unite today 370 companies from more than 40 different industries, including Aircraft, Artificial Intelligence, BioTech, Life Science, E-Learning, Education, BlockChain, IT, Out-sourcing, Law, Accounting, Design, Digital Marketing, E-Commerce, FinTech, IoT, Augmented Reality, Virtual Reality, Automotive, Nanotechnologies, Genetics, Transport and Logistics, Tourism, Co-working spaces, Venture capital funds, Robotics, Architecture, Construction and others. Our vision is to make Bulgaria the European startup incubator. Our mission is to transform the economic model of our country based on innovations and R&D. Our goals are directly related to upgrading legislation so entrepreneurship in Bulgaria can thrive. How did you start and where the idea for the association came from? The story of BESCO started in the beginning of the 2017 when the caretaker minister of economy invited 5 entrepreneurs from the startup community to be his advisors. We understood that there is a good potential to work with the Government and we decide to take that chance…and risk. 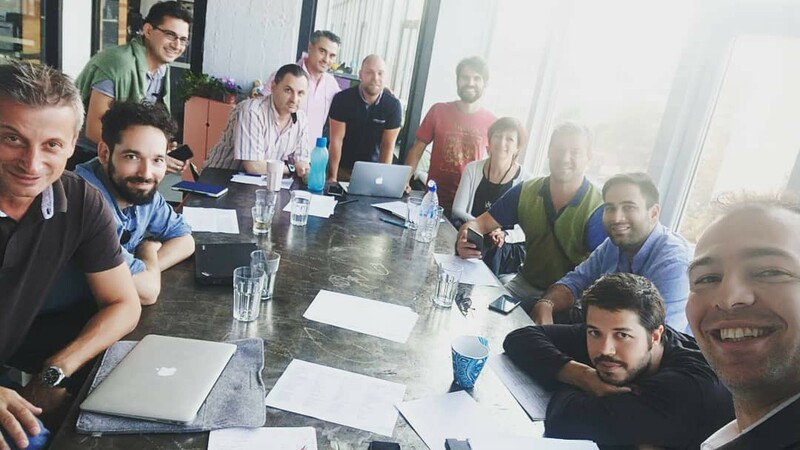 We needed an official organisation, in order to present our ideas so 30 stakeholders from the startup ecosystem launched BESCO (The Bulgarian Startup Association) on the 13th of September 2017. Today startups share with us what challenges they have and we are fighting for improving the environment for their business. The idea came from the need. It follows the organic maturity of the Bulgarian startup ecosystem. Startups and the whole technological industry is growing faster and faster and we need someone to present our industry to the Government. People in Bulgaria do not trust the Government but still — there are many things that we can not improve or change without them. So, this is how democracy work — we gather all the stakeholders, we see what are our needs, we prepare very specific proposals for changes and together with the Government we work for it. What are BESCO’s top goals and what are the biggest challenges ? New way of enterprise in our Commercial Law — following the model of SAS in France. It is much more flexible enterprise allowing easier vesting, option pool, convertible debt etc. On a daily base we are working for solving many problems of different startups. Strategically we have more than 200 proposals for improving the environment for startups in Bulgaria and we are working step by step. Can you tell us more about the partnership with æternity Ventures? Nikola Stoyanow and æternity Ventures were the first one to confirm that they are going to support financially BESCO and we are very thankful for their trust of confidence. Our goal is BESCO to be “owned” by the startups and to be fully independent — that means, to be funded by the startup ecosystem itself. Today many others startups support us, but æternity ventures were the first to show their trust in us! More than everything it gave us credibility when we needed it most. Meeting of the advisory board at BESCO. What are BESCO’s resolutions for 2019? Growing our network within Bulgaria. Our goal is to be one of top 3 business organisations in Bulgaria by 2020 so we need a huge network of local representatives across the country. So, that is something that we will build this year. We also want to support the legislation framework for blockchain business and also for autonomous vehicles in Bulgaria. We want to push that laws this year. What is your best advice to a startup team in Bulgaria? Learn how to sell! — In order for your business to make money = You have to be really good at selling. Having just great team and great ideas is just not enough. If you want to make a global business you can not do it only with local resources. Go to the global accelerators and incubators, spend some time on the markets you want to conquer. Our mission is to make Bulgaria the home base for the people, business and R&D. However, you need to go global since day 1. 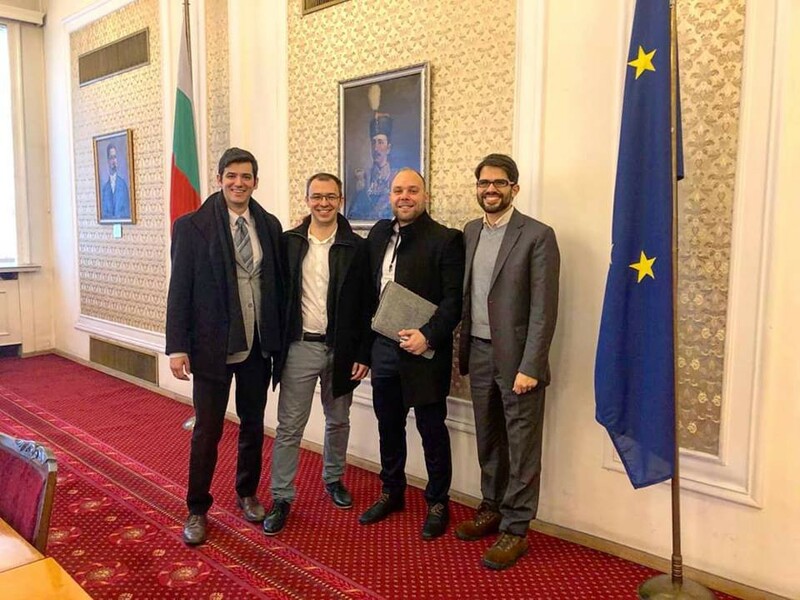 The team behind BESCO before their meeting with the economic commission at the Bulgarian Parliament. What does the Bulgarian startup ecosystem needs most at the moment? We need better legislative and administrative framework. Education -> Science -> Tech Transfer -> Entrepreneurial ecosystem -> Startups -> Scalups -> Large companies -> Export of products and services with high added value. That connection will give us more money in the hands of normal people — like the founders of Telerik, æternity and others. That will bring us more private investments and private VC funds and is something that the whole EU needs. How do you see the Bulgarian ecosystem in 2020? Hopefully with focus on the Tech transfer and great startups with lots of science and R&D. Also I see a new legislative framework friendly to some of the industries of the future. What was the most exciting thing that happen to you because of the foundation? Honestly, for BESCO it was the credibility again. It was really important that you give us that vote of confidence when we need it so much. When still almost no one believe in what we were doing you stand behind us. That helped us grow so fast. Thank you for all of that!